The tour begins at the entrance to our new home. 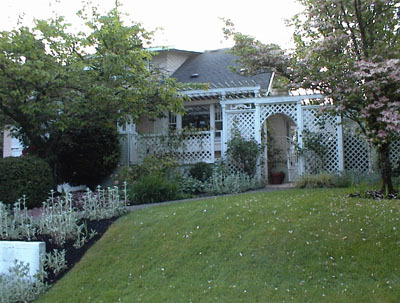 It's situated on the soutwest side of college hill on a street with nice houses. A couple blocks away are parks, schools, shopping, and more.